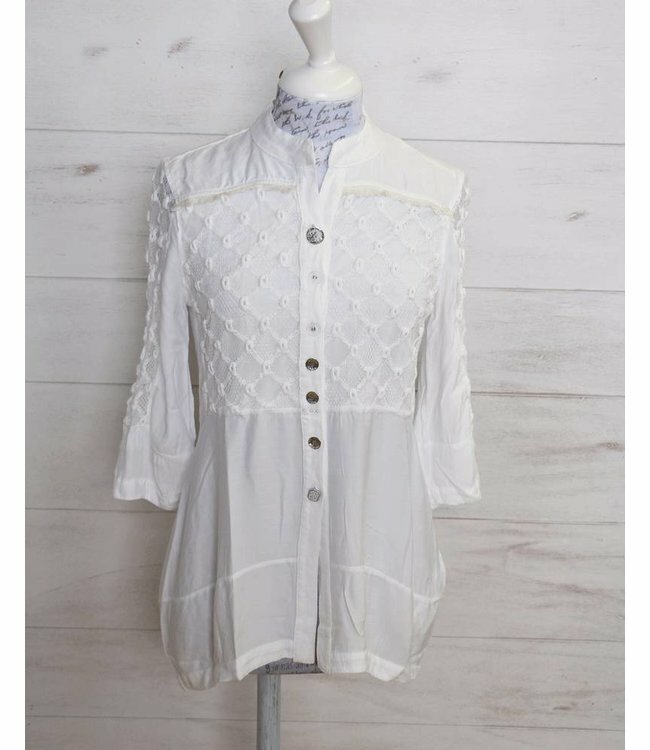 White blouse made of a variety of fabrics and lace insets. The blouse is closely fitted at the top and features a side panel made of stretch cotton jersey. It falls loosely to the hem; the back is longer and rounded.